In my last post, My 10 Favorite Ways to Use Coconut Oil, I shared the best ways you can cook with it AND slather it on to keep your body healthy and alkaline on the inside and out. One that I mentioned is substituting regular cooking oils, especially the ‘bad for you’ kinds like vegetable oil and canola oil, with coconut oil. I highly recommend you give it a try even if you don’t usually like the taste of coconut because in savory foods it’s really subtle and often adds great depth of flavor. Today’s recipe is a perfect example. 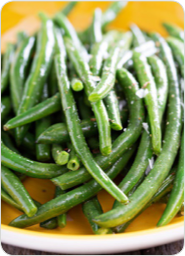 These garlic green beans don’t taste like coconut, even though that’s the cooking oil we’re using. They just taste delicious. In fact, you could use this same recipe to cook lots of in-season vegetables, so give it a try and let me know what you think over on Facebook. 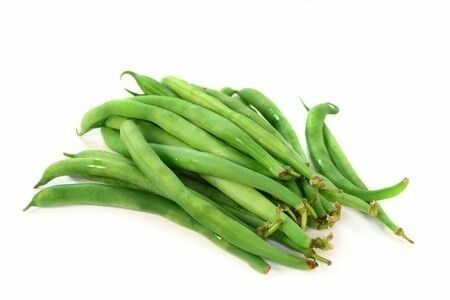 Thoroughly wash green beans, and cut the ends off. Heat the oil in a skillet on medium to high heat, and sauté the garlic until crisp and light brown. Add the chili flakes and salt and stir. Next, add the green beans and give a good stir so that they are covered with the oil. This recipe came from the Summer Recipe, Meal Plan & Shopping Guide included in the 7-Day Alkaline Cleanse. If you’re ready to get rid of the common ailments that have been plaguing you, this is perfect for you.